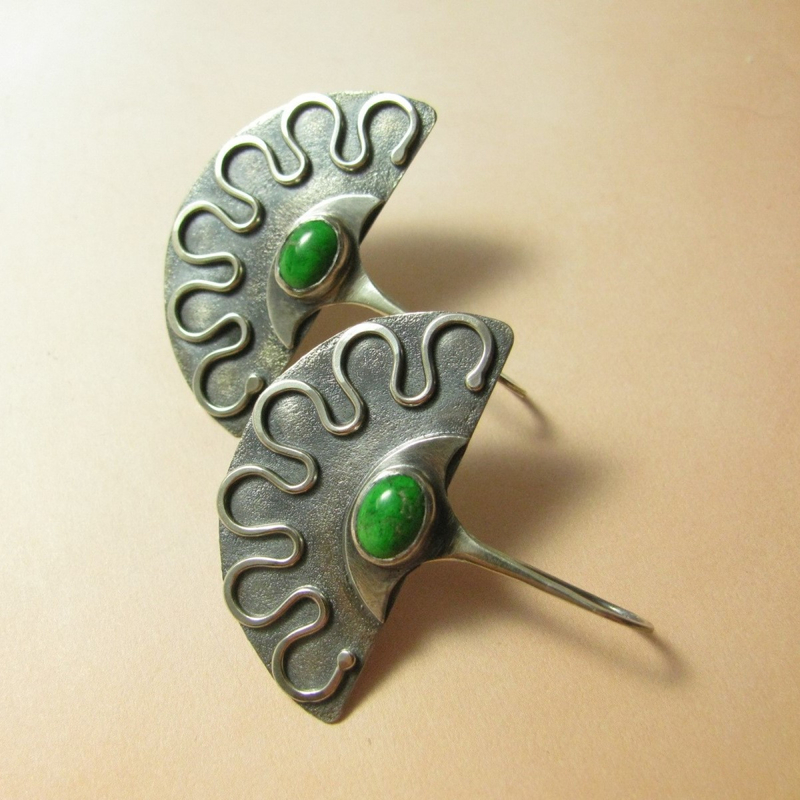 Maw Sit-Sit, a new favorite, is a beautiful gemstone in the jadeite family that inspired the exotic fan shapes and ornamentation of these argentium sterling silver earrings. 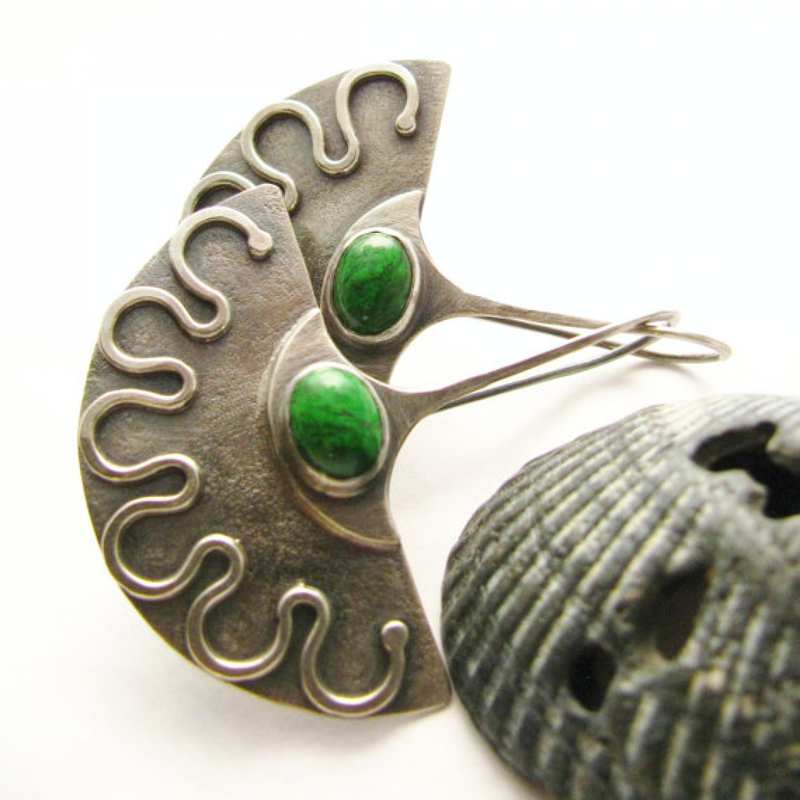 The 6x8mm cabochons are set in fine silver bezels and the ear wire is crafted from *18 gauge sterling silver. 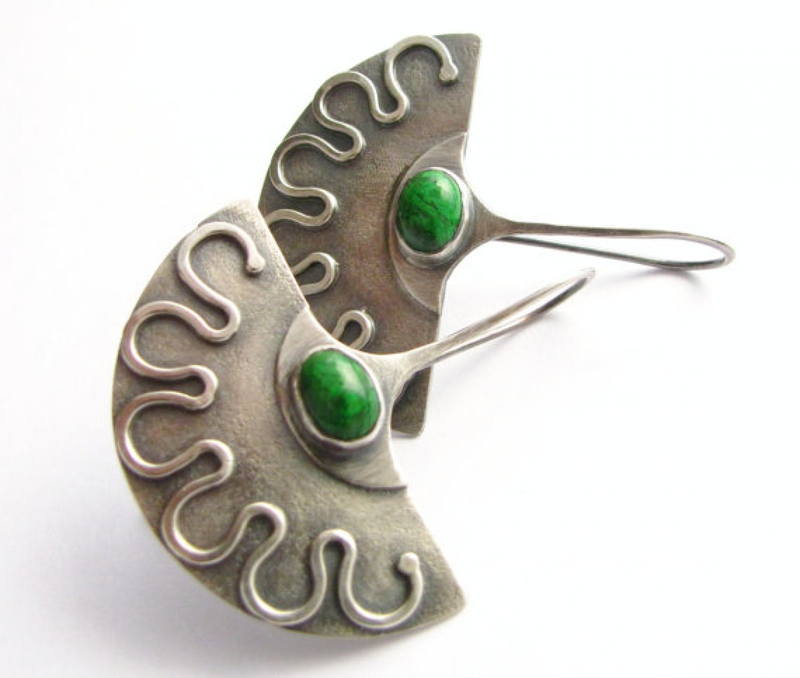 The silver fans have a wonderful sand finished surface texture and are oxidized to bring out the beauty of these rare and beautiful emerald green and black stones. Its extraordinary color comes from chromium rich jadeite of which it is partially composed. *18 gauge ear wires are a tiny bit thicker than standard 20 gauge and should be just fine for all of those that are accustomed to wearing earrings. 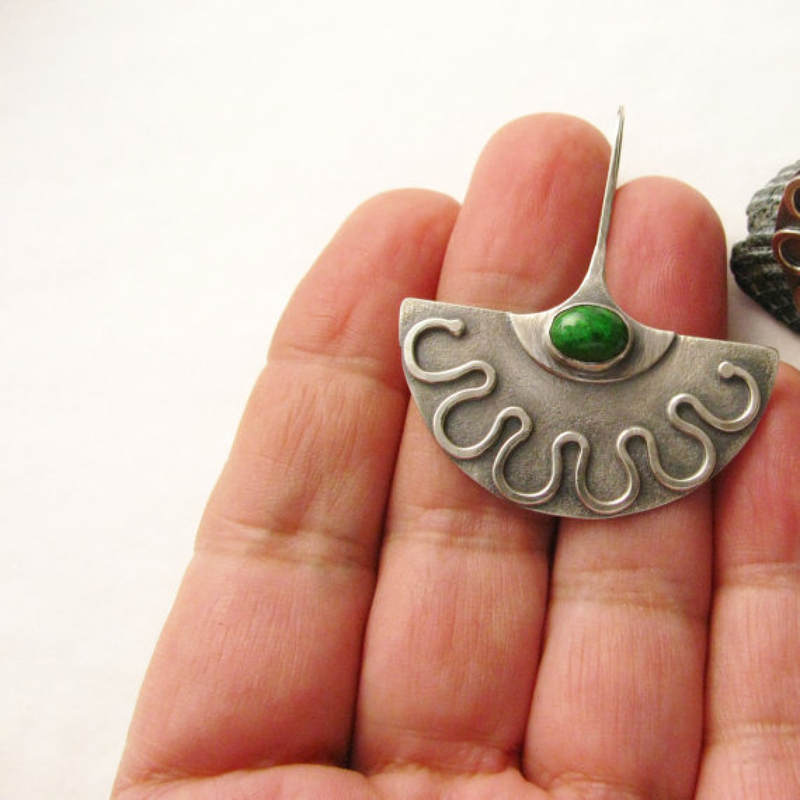 A touch over 1.5" or 3.81cm from top of ear wire. 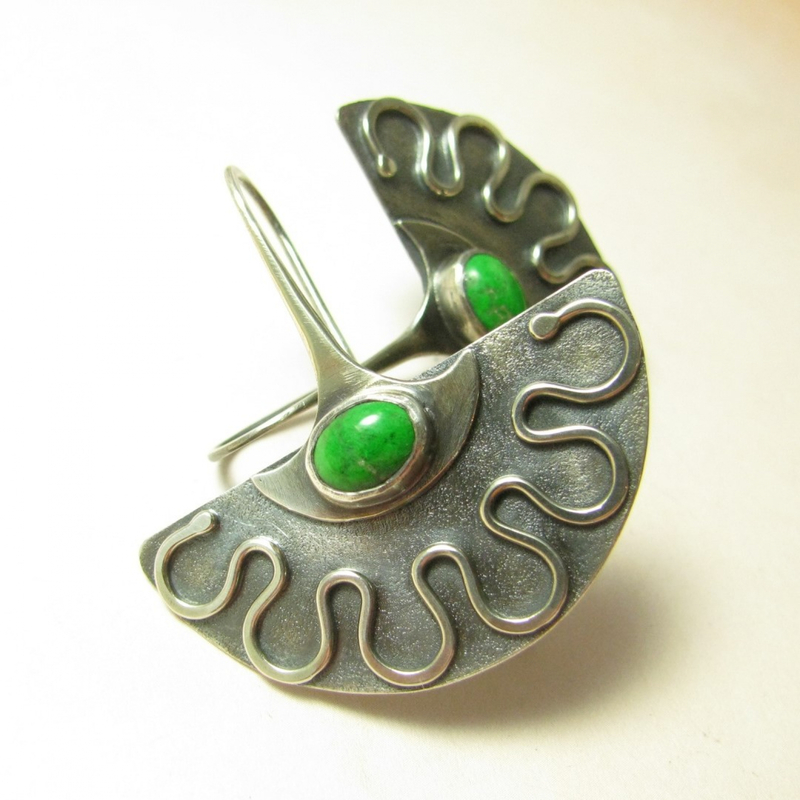 Artisan jewelry from the Mocahete studio to treasure for years to come.